Your Direct Selling business has tax advantages, but millions of business owners fail to maximize their deductions and overpay their taxes every year. 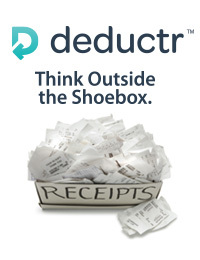 Deductr was created to help track and document every business expense, leaving nothing in question, so you only pay what you legally owe and not a penny more. View this webinar to learn how you could save $1000 to $6000 on your taxes this year.